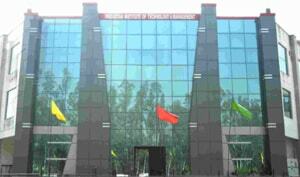 Student Seeking admission in Hindustan Institute of Technology & Management can avail the education loans such as PNB(Punjab National bank), SBI( State Bank of India ), ICICI Bank, Bank Of India, J&K Bank, Corportion Bank, Vijya Bank,Everest Bank LTD.(Nepal) and other nationalized and private bank, Loans can availed from these bank at the time of counseling of admission. The process is simple so every student can avail of the facility with ease. The required documentation for educational loan provided by college Education is no longer a Dream... avail Education Loan to Complete your studies at HITM.